On the first Arbor Day in 1872, an estimated one million trees were planted in Nebraska as pioneers realized that trees and shrubs were needed as windbreaks and fuel, for building materials and shade, and to keep soil in place. Nearly 100 years later, 20 million people turned out from coast to coast in celebration of the first Earth Day in 1970 to demonstrate for a healthy, sustainable environment. On April 29, 2017, the Clean Fairfax Council and the Fairfax County Park Authority join forces to carry on the traditions of both of these historic movements with a day of environmental activities at Springfest, which will take place for the first time at the Sully Historic Site. 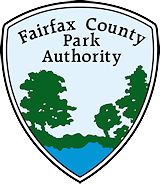 Both Clean Fairfax and the Park Authority have a mission to preserve and protect the environment while spreading a message of good stewardship. They will do just that through activities for children and adults that combine fun with a dose of education and show how easy good stewardship is. Clean Fairfax Executive Director Jen Cole says one of her goals with Springfest is to “put the earth back in Earth Day.” That will literally happen this year with the help of the Department of Public Works and Environmental Services (DPWES). The agency will bring a contractor to Springfest for the first time to offer a food composting service on site. Yellow barrels will be provided for food waste, and visitors can learn about the benefits of composting – from reducing waste to helping to grow food. How does that food grow? Springfest visitors will have a chance to learn first-hand from local growers and producers as the event helps kick off the Park Authority’s 2017 Farmers Markets. It’s a chance to chat with some of the folks who will be providing fresh fruits, vegetables and other farm products throughout the growing season. “You can eat healthy and it doesn’t have to be expensive,” says Cole, who adds that it’s good for children to see that “everything doesn’t come wrapped in plastic.” Kids can learn where their food comes from and how easy it is to grow your own, even if that means just a couple of planters on the balcony for peppers or tomatoes. All of the non-food vendors who attend Springfest are required to get in the Arbor Day/Earth Day spirit by including some kind of environmental component to their display. Kids can get an Environmental Passport at the Clean Fairfax booth and make the rounds at Springfest, collecting stickers or stamps as they visit each vendor and pick up some tidbit about the environment. They can return to Clean Fairfax at the end of the day with their passports and collect a small prize, usually a packet of seeds. Budding naturalists will be able to put themselves to the test this year with a tree scavenger hunt among the beautiful tree specimens on the Sully property. Armed with a poster filled with information about trees, leaves and bark, kids can play detective and try to identify the trees they see. Pollution on both the land and in our waters threatens plant and animal life, so another component of the environmental message is a reduction in waste. Don’t look for any bottled water at Sully. Fairfax Water will be on site with a “water bar” to keep everyone fully hydrated. Don’t expect to see any polystyrene or Styrofoam either. Vendors are banned from using those polluters. Find common ground and learn about your place in the environment at Sully Historic Site on April 29 from 10 a.m. to 4 p.m. Admission is free! This entry was posted in Uncategorized on April 21, 2017 by Fairfax County Park Authority.